Osteoarthritis of the knee and hip affects millions of people across the globe. Osteoarthritis is the number cause of disability. The medical community has not be able to change the biological process and stop the progression of arthritis. Joint replacement surgery remains the gold standard to treat patients with severe osteoarthritis if they do not respond to non-surgical measures. Growing cartilage in a lab to completely resurface a joint which has lost its cartilage has been a goal of many many researchers and scientists for decades. It turns out that cartilage is a very picky and particular substance. It is not easy to grow and maintain. Not only that it is also difficult to transfer in large sheets into a joint. A research group out of Washington published a study recently where they have been able to regrow cartilage on a fabric scaffold. They have also programmed the cartilage cells to release an anti-inflammatory chemical into the knee or hip joint . 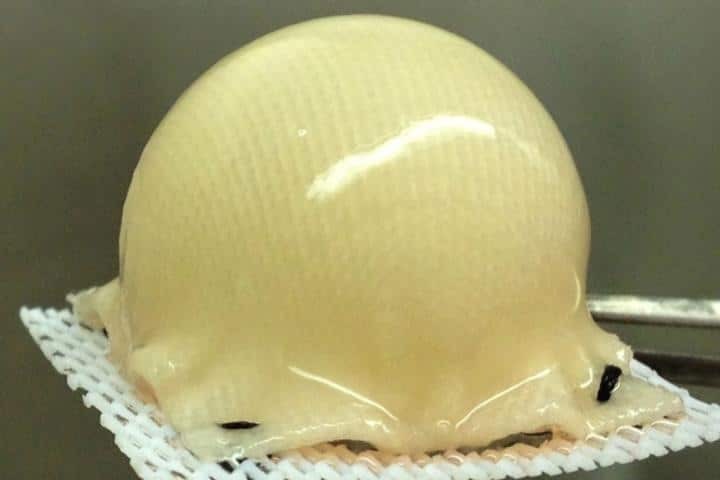 This is a big first step towards achieving a true biological resurfacing of a hip or knee joint. They are still many years away from having this technology proven, approved and ready for human trials, but I am very excited about the work they are doing. In reality this will still be a very challenging procedure since the shape of the bone tends to change as the arthritis progresses. But we will cross that bridge when we get there. Stay tuned … there are some amazing companies working on difficult problems which may be available to help you in the years to come.